Pick a day  earn double points that day on virtually every purchase made in store, online, or by catalog. See your sales associate to redeem in store, or enter code MYDBL for online purchases. Remember, you can earn points at Neiman Marcus, Bergdorf Goodman, Last Call, and Horchow. DOUBLE POINTS PRESIDENT'S CIRCLE members and above earn TEN POINTS for virtually every dollar charged on purchases. Enrolled Platinum Card and Centurion members from American Express are not eligible for double-point offers. CHOOSE A DOUBLE-POINT DAY: Good for one year from date of issue and may only be used once. If used more than once, first usage will determine Double-Point Day. Must be used with Neiman Marcus or Bergdorf Goodman credit card only. 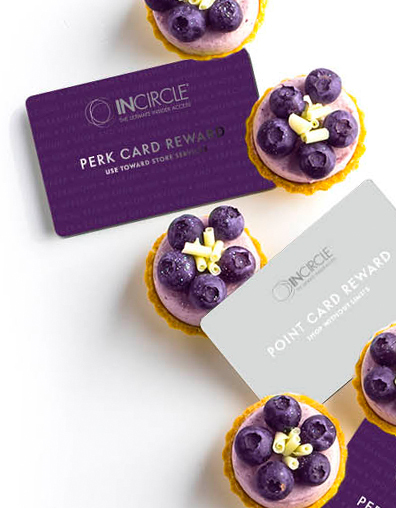 May not be combined with any other InCircle bonus point offer. Some exclusions apply. Call 1.888.462.4725 to learn more.